Audists – …And the Truth Shall Set You Free. ALERT! AGBell is Back in…..Oregon? That is right. Alexander Graham Bell Association is making a come back for the state of Oregon chapter. Janet Weil, President of AGBell, Oregon Chapter writes, “Did you know that his headstone in Nova Scotia says, ‘Teacher of the Deaf’?” to make sure Oregon must be listening and speaking state champion. Rake in big money. Nothing more important than the legacy of Audism continues to bulldoze Deaf community. No headstone of AGBell is allowed in Oregon. Ms. Weil had enthusiastically described and explained in her letter, that it is time to track and deliver the message that AGBell services could provide. With confidence in an oppressive tone, she had brought her authority to a close with in her mind, “Now we are making sure Deaf community will lose”—It took only a few seconds for her to realize that she was in for a disaster. Just three sets of eye staring—one set at her, one set at Deaf community, and one set out to get rid of American Sign Language (ASL) and force them to listen and speak instead. As the silence walks into Deaf eyes, Janet needs to know that her confidence is slipping away. The Audist behavior. Understanding the Audist behavior. Audists in review. Coping with Audists. AGBell was powerful and Deaf Oregonians were powerless. They were forced to side with the powerful dictatorship, according to Ms. Weil’s “Teacher of the Deaf” refers in to AGBell. Now they are no longer powerless. The key is to cope successfully with complainers like AGBell. We need to know what lies behind their actions and how easy it is to be sucked into their world. We need to be aware the real problems, but AGBell is doing it in a private manner that elicits defensive responses from Deaf community. Who might Janet Weil? Her uncle, Arthur Simon was a founder of the Deaf Adults Section of AGB. She was an executive director and principal for Children’s Hearing and Speech Centre of BC (British Columbia) in Vancouver, Canada and it has been supported by the Alexander Graham Bell Association in Washington, D.C. and has been frequent supporter for VOLTA VOICES. She was a teacher-trained at Central Institute for the Deaf. Any AGBell chapters in America, including Oregon are not welcomed. Deaf community will be continue to be the protectors of ASL, and give Janet Weil the balloon known as the phony know-it-all expert, balloons seek the attention of others by acting an expert when she is not. Janet also needs to be aware that she is not speaking for us, Deaf community behind her knowledge. Janet’s balloon is often tracking and targeting Deaf people for information to make AGBell proud, and that would lead to trouble only and be aware that the balloon will face the moment of truth that AGBell will be immobilized. Inactive. Deactivate. Notice the area code. 415. That is in San Francisco. Janet is making all the decisions while living in California and tell Oregon what to do to build more Audists. What an attitude! How much is she getting paid to do? Living in San Francisco is expensive……. The presence of ASL will always bring awareness and the probability of Oralism loss of face, on the other hand, will reduce the balloon to the most elemental kind of knowledge. ASL will always making a lasting a difference for lifetime. ASL will be always expensive to replace for listening and speaking or in the name of Oralism to please AGBell. Do we do not need more scars anymore? 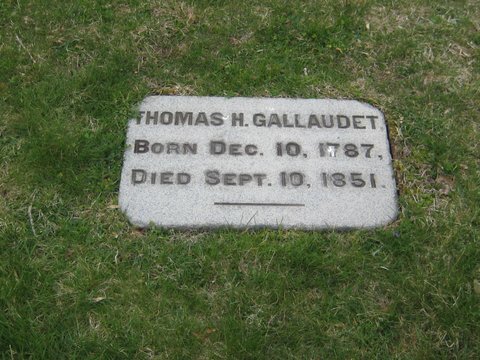 Today is Thomas Hopkins Gallaudet’s birthday. 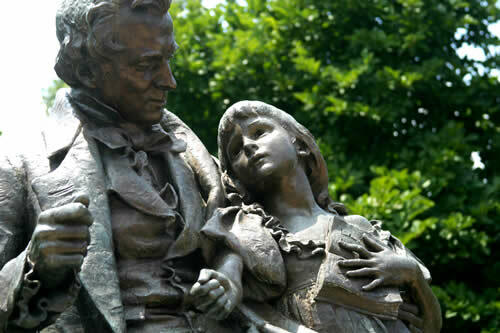 Gallaudet University was named after his namesake and his visionary was very much clear to gain sufficient knowledge to make sure Deaf students would be committed to excellence in their education. I will not support hearing students in there because Gallaudet wanted this for Deaf students only—-some of hearing students, especially interpreting majors today there are the worst oppressors and do not excel themselves in the Deaf-world. It is not very much part of human nature to excel in what interpreting majors does not know and do not posses either. Are Deaf students inclined toward their dualistic nature in which they are practicing binary thinking: good interpreter versus poor interpreter, Deaf versus hearing, and so forth. Is it part of the tidy formulas that no single set of rules that would lead to excellent ends for them? Deaf students who are in his or her field of study to reach their fullest potential to operate from “higher education” only if they master to know how to stand up and stop Audism there. Gallaudet University—is it an ASL-friendly society that share certain attributes for Deaf students to be protected from Audists? For the next generation, Deaf students needs to strive how to act in the ways that they do not need to experience 1880 Milan Resolution in every respect. Is it part of the administration’s cover-up that Deaf students are doomed to fall after they had been risen a while? Why set up Department of Interpretation (DOI) not to admit their mistakes and shut up Deaf students? What did Thomas Hopkins Gallaudet, the American pioneer in the education of the Deaf, mean when he said, “Deaf people can learn” in the search of higher education to learn and strive their Deaf identity? With interpreting majors in the cafeteria using their voices mocking Deaf students, let me remind you–those same interpreters who once interpreted for Deafhood Monologues, they are part of the same cycle: The 1880 Milan Resolution banning sign language in the cafeteria and that leads to a question: Is “listening and speak” an absolutely necessary to mock Deaf students under Thomas Hopkins Gallaudet’s mission vision? The DOI has become not the glory, but the pride of oppressing Deaf students in cafeteria among all the halls on the campus and the failure of code of ethics at least equally oppressive in the Deaf community that Thomas Hopkins Gallaudet would not allow interpreting majors to disable Deaf students and rob their dignity.